Various singers and ensembles. EMI 7243-5-66863-2. Debate still rages among opera buffs about whether today's tenors are as good as those of the past. 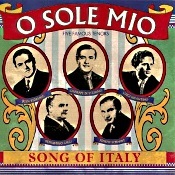 This collection, "Song of Italy," gives us five great singers of yesteryear singing famous Italian songs. 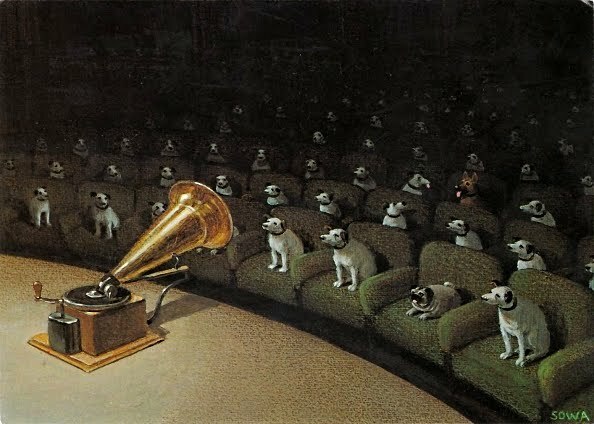 The monaural recordings date from the mid 1920s to the late 1940s. 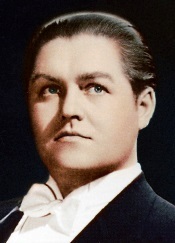 At the top of the ladder are Beniamino Gigli (1890-1957), with a voice of velvet smoothness, infinite flexibility, and seemingly limitless power; and Swedish-born Jussi Bjorling (1911-60), who, like Gigli, was considered a natural successor to Caruso. He had a voice of soaring lyricism that made his rivalry with Gigli comparable to the Pavarotti-Domingo contests of later years. On a slightly less-exalted level is Giuseppe Di Stefano (1921-2008), who displays his usual penchant for dramatics, not an undesirable trait in the world of opera. Then there is Joseph Schmidt (1904-1942), who is something of an enigma. He provides perhaps the most expressive, if not the strongest, voice of all; yet his diminutive size (he was not quite five feet tall) kept him from appearing in opera on stage. Bad luck. Finally, represented by only one number is Luigi Infantino (1921-1991), a singer known as much for his phonograph recordings in the forties and fifties as for his personal appearances. The disc includes a generous selection of twenty-three songs, including the expected "O Solo Mio" done in three different renditions--by Bjorling, Gigli, and Schmidt. I preferred Bjorling by a hair over Gigli, and Schmidt a distant third. Other songs include "Torna a Surriento," "Santa Lucia," "Maria, Mari," "Piscatore e Pusilleco," "Casarella," and many others. The sound, as one might expect, is variable. The EMI remastering engineers have used enough noise reduction to eliminate any serious signs of hiss, making the top end inevitably soft but rendering the voices quite listenable. In a few cases, however, it is more the mono sound than anything else that betrays the age of the recordings. In all, the disc provides an excellent showcase of vocal art and popular entertainment. Other Minds continues its 2018-2019 season on Sunday, February 10, 4:00 p.m. at Taube Atrium Theater in San Francisco, with a double header of two piano arrangements by Shostakovich including the West Coast Premiere of his own Symphony No. 4 and Stravinsky's Symphony of Psalms. 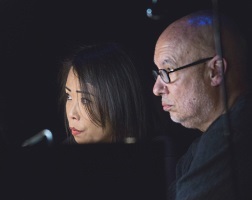 The performance features frequent duo collaborators Maki Namekawa and Dennis Russell Davies. The two piano arrangement of Shostakovich's Symphony No. 4 is still largely unknown today. Written in 1936, the original orchestral version was mired in scandal following Stalin's denouncement of Lady Mcbeth of the Mtsensk District two years prior. The exact details are shrouded in mystery but following its withdrawal, the orchestral score went missing during World War II and remains undiscovered to this day. It was eventually reconstructed from the individual orchestral parts and the composer's two piano arrangement, of which only 300 copies were printed, and finally received its orchestral premiere in 1961. Shostakovich and Boris Tishchenko performed the two piano arrangement one-year prior, marking the first time that it had been heard publicly in over a quarter of a century. 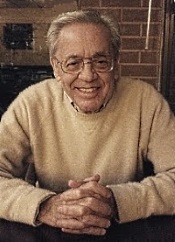 It was not until 2000 that the piece was officially published. Tickets are $40 and can be purchased online through http://www.brownpapertickets. $25 student tickets can be purchased with valid student ID. For further information on Other Minds, please visit http://www.otherminds.org. Singer-Songwriter Gabriel Kahane's "8980: Book of Travelers"
Up next on Princeton University Concerts' brand-new Crossroads series: singer-songwriter Gabriel Kahane brings his acclaimed "8980: Book of Travelers" project to Richardson Auditorium, Princeton, NJ on Thursday, February 14 at 7:30PM. The morning after the 2016 presidential election, Kahane boarded an Amtrak train for an 8,980-mile journey across the United States, leaving his phone and access to internet behind. The resulting song-cycle, premiered at the 2017 BAM Next Wave Festival and drawn from the kaleidoscopic spectrum of his fellow travelers, is an eloquent cry for reconciliation and an attempt to rediscover our collective humanity in the face of all that seeks to separate us. Rolling Stone calls the project "A stunning portrait of a singular moment in America." Tickets, just $30, are available at princetonuniversityconcerts.org and at 609-258-9220. On Wednesday, February 13 at 7PM, Kahane will also participate in a FREE, unticketed public discussion with Princeton University Professor Simon Morrison at the Princeton Public Library. In Spring 2019, the internationally renowned, Boston-based, early music champion, the Handel and Haydn Society, returns to New York City for two stunning concerts. 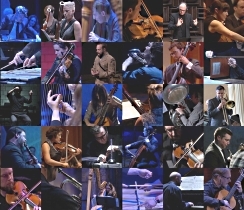 These performances, housed in two of New York City's most unique and celebrated concert venues, reflect the Handel and Haydn Society's impeccable consideration for historically-informed concert traditions, immaculate expression of the Renaissance and Baroque philosophies, and characteristic taste and precision of artistry. Under its esteemed artistic director of a decade, Harry Christophers, the 204-year-old ensemble brings the fiercely emotive early opera Dido and Aeneas by Henry Purcell to the spectacular "Temple of Dendur" setting in the Metropolitan Museum of Art's Sackler Wing, as well as an all-Vivaldi recital including works for soprano, violin, and viola d'amore at the Morgan Library. PARMA Recordings makes our first Call for Scores of 2019. In addition to being recorded, selected submissions will be considered for live performance. Previously accepted scores have been performed in Russia, Croatia, Austria, the Czech Republic, the United States, and more. Please submit PDF scores and corresponding MIDI files or live recordings via our Project Submission form. Selected scores will be recorded and commercially released by PARMA Recordings. The submitter is responsible for securing funds associated with the production, and retains all ownership of the master and underlying composition. Works should ideally be between 5 and 15 minutes in length, but pieces outside of that range will still be considered. Deadline for all submissions is February 4, 2019. There is no fee to submit. The First round (May 29 and 30) and Semi-final round (June 1 and 2) will be held at Montreal Museum of Fine Arts' Bourgie Hall with morning (11 am), afternoon (3 pm) and evening (7:30 pm) sessions. 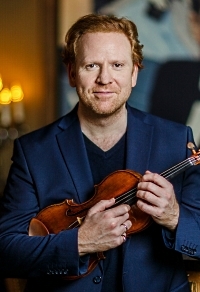 The Final round will take place on June 4 and 5, both at 7:30 pm, at Maison symphonique, where violinists will be accompanied by the Orchestre symphonique de Montréal led by guest conductor Alexander Shelley. For decades, Steinway & Sons has cultivated special relationships with pianists from every genre, including historic local celebrity Ignacy Jan Paderewski. Pianist Anna Polonsky, one of the more than 1,600 Steinway artists, will be playing in San Luis Obispo at Festival Mozaic's WinterMezzo weekend, February 21-24. Festival Mozaic is excited to announce a new partnership with Steinway & Sons, which results in the loan of a concert grand piano for Polonsky to use for the Festival's upcoming WinterMezzo weekend. About being a Steinway artist, Polonsky states, "In my performing experience, no piano but Steinway has been better at answering my musical and technical needs." Festival Mozaic's WinterMezzo Series runs February 21-24, 2018 with four days of music, food, wine and education. Well-known for its popular summer music festival, Festival Mozaic brings world-class chamber music performances to scenic San Luis Obispo County, California, through the rest of the year with its WinterMezzo series. Be Honest: Can Art Really Make a Difference? It is easy to be discouraged. It is easy to feel powerless. With all that is happening, it is worth asking whether we can make a difference. Can anything make a difference? And with so much else failing, can a work of art make a difference? Or are we kidding ourselves? We have seen it happen in ourselves. When American Opera Projects commissioned and premiered As One four years ago, it opened our own way of thinking, our way of talking, our way of empathizing. But maybe that was just us, predisposed, as theatre producers, to the ideas and the feelings we hoped As One would communicate. But since then, with the help of many of our fellow producers and an incredible roster of artists, we have seen it also happen in hundreds of audience members across the country, many of whom didn't really know much about "transgender" beyond the headlines. But we felt our work wasn't done. So this year, AOP will enact a plan to bring As One to as many people as we can, with a new production, a new nationwide tour, and a new CD. Yes, we believe - we truly believe - a work of art can make a difference. American Classical Orchestra's (ACO) 34th season continues on Thursday, March 7, 2019 at 8:00pm with "Joyous Bach," a celebration of Johann Sebastian Bach, led by Artistic Director and Founder Thomas Crawford, at Alice Tully Hall at Lincoln Center, NYC. Stepping in front of the orchestra, ACO's renowned principal flutist Sandra Miller, Historic Performance Professor of Flute at The Juilliard School, will play Bach's Orchestral Suite No. 2, BWV 1067 for flute and strings. The acclaimed ACO Chorus will join the orchestra for beloved cantatas "Herz und Mund und Tat und Leben," BWV 147 and "Gottes Zeit ist die allerbeste Zeit," BWV 106. Nola Richardson (soprano), Sara Couden (contralto), and Joseph Beutel (bass-baritone) will be among the step-out soloists. Thomas Crawford says of the program, "This program reveals Bach's unequalled capacity to reach the range of human emotions." Later the same week, on March 8 and 9, 2019, ACO will kick off its newest initiative, The Sfzp Project, with fortepiano masterclasses, recitals and chamber music concerts, as well as the first Sfzp International Fortepiano Competition, co-sponsored by American Classical Orchestra and the Academy of Fortepiano Performance in Hunter, New York. In addition to the Mahler, Lucas will sing a selection of opera arias (including "Figaro's Aria" from John Corigliano's Ghosts of Versailles, for which Meachem won a Grammy in 2017) and several of Copland's Old American Songs. Tickets for the performance will go on sale February 6, 2019. Princeton University Concerts, continuing its 125th anniversary season, invites audience members to sit onstage with the Brentano String Quartet and principal guests from the New York Philharmonic, Philadelphia Orchestra, and Metropolitan Opera Orchestra in a single-work program of Schubert's Octet for Winds & Strings in F Major, D. 803. The program will be repeated twice on Tuesday, February 19, 2019: at 6PM and 9PM. The 6PM concert is sold out; tickets are still available for the 9PM performance. The concert design, including special lighting, is conceived by Broadway actor Michael Dean Morgan and lighting designer Wesley Cornwell. Any returned tickets will also be released for purchase an hour prior to each performance at Richardson Auditorium, Alexander Hall, Princeton University. On Thursday, February 21, 2019 at 8:00pm, the International Contemporary Ensemble (ICE) joins Yarn/Wire for a Miller Theatre Composer Portrait of composer and pianist Wang Lu. Brought up in a musical family with strong Chinese opera and folk music traditions, Wang Lu's works reflect a natural identification with those influences, through the prism of contemporary instrumental techniques and new sonic possibilities. Musicians of ICE and Yarn/Wire, both long-standing champions of Wang Lu, perform the world premiere of Lu's A-PPA-Aratus, co-commissioned by Miller Theatre the Koussevitsky Music Foundation, as well as her Childhood Amnesia (2017), Rates of Extinction (2016), Urban Inventory (2015), and Siren Song (2008). On Thursday, January 31, 2019 at 6:00pm at The New York Public Library for the Performing Arts's Bruno Walter Auditorium, ICE presents a free interactive concert of Wang Lu's works and will collect audience responses. New York Festival of Song Presents "Hyphenated-Americans"
New York Festival of Song--the "engaging, ever-curious series" (The New York Times)--presents a new program entitled "Hyphenated-Americans" on Wednesday, February 20, a co-presentation with Merkin Hall at Kaufman Music Center, NYC. This concert honors composers from abroad who now call the United States home, along with first-generation American composers whose close links to their parents' homelands can be heard through their compositions. The program features works by Bright Sheng (Chinese-American), Daniel Sabzghabaei (Persian-American), Roberto Sierra (Puerto Rican-American), and Clarice Assad (Brazilian-American). Starting at 6:15 p.m., JMC partner RéZin offers a selection of wines. Then, at 7 p.m., the audience is in for a little over an hour of music, including commentary by the artists, in a intimate venue with impeccable acoustics. Don't miss this unique occasion, taking place at Joseph Rouleau Hall, located at 305, Avenue du Mont-Royal Est, in Montréal, just a few steps from the Mont-Royal metro station. 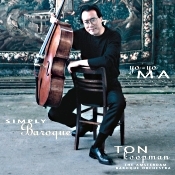 Yo-Yo Ma, cello; Ton Koopman, Amsterdam Baroque Orchestra. Sony SK 60680. 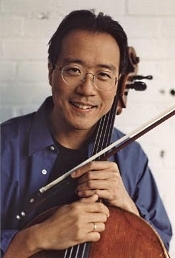 Apparently, by 1999 Yo-Yo Ma had run out of basic cello repertoire to record and began going in various different directions. For instance, he did a successful album of tango tunes, another of bluegrass, and yet another of contemporary music. The novelty this time out is that he plays on a period Stradivarius cello (1712) with Ton Koopman's period-instruments group, the Amsterdam Baroque Orchestra. They play about a half an hour of short Bach transcriptions, "Jesu, Joy of Man's Desiring," "Air on a G String," that kind of thing, and a pair of Boccherini cello pieces, the Concerto in G Major and the Concerto in D Major. While the Bach is undoubtedly appealing, I found it a bit fussy and over-refined. Ma's playing is ravishing, yet he seems to drain some of the life from the works in the name of beauty. On the other hand, the Boccherini is another world entirely. Maybe it's just that we hear more Bach pieces compared to Boccherini that comparisons are more harsh in the Bach. Still, I don't think I have ever heard works by Italian composer and cellist Luigi Boccherini (1743-1805) played with more elegance, more fluidity and grace, more expressiveness, or more subtle nuance. There is no loss of vitality here; the pieces are at once alive and enlightened. Certainly, Maestro Koopman's robust style helps both Bach and Boccherini, but he, too, adds a note of sensitivity to the latter. The booklet note says a lot about Ma's having to adapt both his instrument and his performing technique to meet the demands of period music. It appears, instead, that the eighteenth century was more than willing to conform to Ma's style. The combination provides a unique listening experience, a step beyond what the usual period-instrument player might bring to these concertos. Sony's sound (recorded at Stadsgehoorzaal, Leiden, Netherlands in 1998 and digitally remastered in 2009) is likewise good. Recorded in Holland's Stadageboorzaal Concert Hall, the acoustic is pleasantly resonant, helping to make the sonics sound realistic without in any way distorting them. The results are smooth, natural, and reasonably clear, with a good degree of depth as well as breadth to the stereo image. Ma's cello is dominant, to be sure, but it never completely overpowers its orchestral accompaniment. This is a disc that scores on almost all counts, lightweight but recommendable. 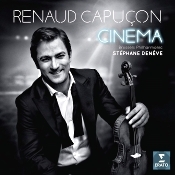 Renaud Capucon, violin; Stephane Deneve, Brussels Philharmonic. Erato 0190295633936. At last count, there were approximately 19,382,475.3 recordings of film music in the catalogue. So, any new release has plenty of competition. What makes this one any more special than the rest? 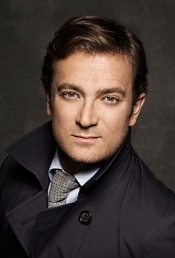 Well, mainly, it's French violinist Renaud Capucon. According to his bio at Wikipedia, Capucon (b. 1976) entered the Conservatoire à rayonnement régional de Chambéry at the age of four, then the Conservatoire national supérieur de musique et de danse de Paris at the age of fourteen. Three years after that, having completed his studies, he won first prize in both chamber music and violin. There followed several international competitions before he joined the European Union Youth Orchestra and then the Gustav Mahler Youth Orchestra as first violin. About the same time, he began playing as a chamber musician and launched a solo concert and recording career. On a side note, after playing a Vuillaume, a Guadagnini, and a Stradivarius violin, in 2005 the Banque de Suisse Italienne BSI loaned him a Guarnerius, the "Panette" of 1737 that had once belonged to Isaac Stern. And what's he up to on the present album? He's playing film music (a healthy nineteen tracks) with the accompaniment of Maestro Stephane Deneve and the Brussels Philharmonic. As Capucon explains it, "Playing music from the film soundtracks that mean so much to me has allowed me to tell my own story. A number of different tales end up woven together here, inspiring the best story of all--the one you'll tell yourself as listen to this album." The themes from "Cinema Paradiso" and "The Mission" are good places for Capucon to start the program because they emphasize the sweetness of his playing style. Capucon glides through them with consummate ease and refinement. He maintains a total control of his violin while asserting a total control of the music. OK, admittedly, these are probably not the most-demanding scores Capucon has ever had to play, but, still, to produce such lush, lovely tones is no easy matter. Maestro Deneve and the Brussels Philharmonic give him an equally lush and lovely support. It's hard to pick out favorites among the many tunes. Most of the music runs high to heavy sentiment and plush romanticism, so it almost seems one of a sort after the first half dozen tracks. "Life Is Beautiful," the "Romance" from "The Adventures of Robin Hood," and "The Tall Blond Man with One Black Shoe" tend to liven up the proceedings a bit. However, for the most part, things remain on the dreamy, nostalgic side, though never veering too far into the maudlin or sappy. I admit I have a special affection for "Amelie," "Mood River," "Summer of '42," and "The Godfather." Indeed, if really pressed I'd say "The Godfather Theme" was the single most splendid thing on the disc, with Capucon singing out the notes on his violin as though performing grand opera. In all, the album demonstrates a poignant piece of musicianship and makes for winsome, engaging, easy listening. Producers Alain Lanceron and Michael Fine and engineer Jean-Marc Laisne recorded the music at Flagey, Brussels, Belgium and Ferber Studio, Paris, France in June and July 2018. The sound is as sweet and gentle as much of the music. The violin is a bit too close for the orchestra behind it, but since this album is really a showcase for Capucon and his instrument, we perhaps might have expected that. When the orchestra does come up strongly, though, it tends almost to engulf the soloist in a soft, billowy reverberation. Fortunately, such occasions are few. Mainly, this is warm, ultrasmooth sound, not particularly transparent or dynamic but comfortable. 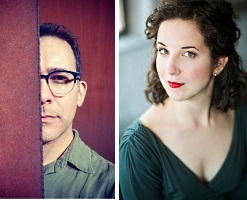 American Opera Projects' (AOP) Board of Directors announced today the appointment of two new inspiring, artistic leaders who will continue the organization's 30-year legacy of creating contemporary opera in the US. Effective July 1, 2019, Matt Gray, who currently serves as AOP's Producing Director, will become General Director, and Mila Henry will join the company as Artistic Director. Sarah Moulton Faux, of the AOP Board of Directors, said, "It was a unanimous decision on the part of the Board to appoint Matt as the next General Director both for continuity of AOPs mission but also for his innovative vision to keep the organization at the cutting edge as we move into the future. Both he and Mila have been incredible assets to the AOP team under Charles Jarden's skilled leadership, and we look forward to continuing AOP's legacy of groundbreaking new works." Matt Gray will be the third General Director in the Brooklyn non-profit's 30-year history, following Grethe Barrett Holby, who founded AOP in 1988, and current General Director Charles Jarden who has led the company since 2002. Jarden will help guide the organization's leadership transition in the newly-created role of Director of Strategic Partnerships. Mila Henry will be the company's first Artistic Director since Steven Osgood held the position from 2002-2008. Philharmonia Baroque Orchestra & Chorale (PBO) Board President Kay Sprinkel Grace and Executive Director Courtney Beck announced today that Richard Egarr has signed a five-year contract to be the next Music Director of the ensemble. Egarr will be the second Music Director in PBO's nearly 40-year history; he succeeds Nicholas McGegan, who will have held the position for 35 years at the end of the 2019/20 season. 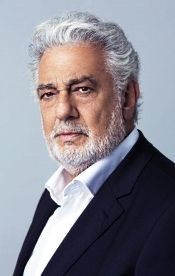 Egarr will join PBO at the start of the 2020/21 season, at which time his title will be Music Director Designate, due to his continuing work as Music Director of the Academy of Ancient Music. He will assume the title of Music Director beginning in the 2021/22 season. "I am delighted to name Richard Egarr as Philharmonia's new Music Director," said Executive Director Courtney Beck. "Nic McGegan has laid an extraordinary foundation from which Richard can build. Richard is an exceptional and unique conductor who has incredible command of the baroque, classical, and early romantic repertoire and enthusiastically embraces PBO's new music initiative. Audiences will sometimes see Richard conducting from the harpsichord; I am certain we will also see him in recital in coming seasons, perhaps with other well-known collaborators. New Century Chamber Orchestra presents upcoming performances of "Recomposed" February 7 through 10, featuring Daniel Hope in his first appearances as Music Director. Four performances will be given around the San Francisco Bay Area in Berkeley, Palo Alto, San Francisco, and San Rafael. Exploring the theme of "recomposition," Hope will appear as soloist for the San Francisco Premiere of Max Richter's Recomposed: Vivaldi – The Four Seasons from his 2012 bestselling Deutsche Grammophon album. Also featured are Britten arrangements of works by Schumann and Purcell, as well as Vaughan Williams's Fantasia on a Theme by Thomas Tallis. Saratoga Performing Arts Center announces 2019 classical season, featuring the New York City Ballet, the Philadelphia Orchestra, and the Chamber Music Society of Lincoln Center. The New York City Ballet residency is highlighted by three SPAC Premieres from 21st century choreographers; story ballet Coppélia, and a Gala program featuring Balanchine's Apollo. The Philadelphia Orchestra season features nineteen SPAC premieres of iconic masterpieces including works by Copland, Piazzolla, and Debussy and innovative newer works including compositions by Higdon, Clyne, Lopez, and Bates. Music Director Yannick Nézet-Séguin will return to lead the orchestra for two weeks, including the season finale featuring the SPAC premiere of Mozart's Requiem. The "Cinema Series at SPAC" returns with "Harry Potter and the Chamber of Secrets in Concert," Disney/Pixar's "Up in Concert," and Charlie Chaplin's "City Lights in Concert." The Chamber Music Society of Lincoln Center performs six programs with twenty-three works never before performed by CMS at SPAC. The new video marks the start of the next chapter of Ma's two-year-long Bach Project, which brings his performance of Bach's suites for solo cello to 36 places around the world, locations that provide a window on our cultural heritage, our current creativity, and the issues of peace and understanding shaping our future. Alongside each concert, Ma and his team partner with artists and culture makers, cultural and community organizations, and leaders from across sectors to design Days of Action — conversations, collaborations and performances that ask how culture can help us to imagine and build a better future. At the heart of the undertaking is Ma's unwavering faith in culture—expressed viscerally for him in Bach's music—as a powerful uniting force during divisive and difficult times. Nearly 30 years ago, the American Bach Soloists established their initial and primary focus on the rich repertoire of Bach's more than 200 cantatas. Each one is an amalgam of dramatic rhetoric and musical inventiveness, flawlessly and expertly combined by the genius composer who is still, to this day, the most important influence on generations of composers since. For decades, ABS has invited audiences to participate in their performances of cantatas by encouraging all to sing the final chorales of each cantata, the movement that was meant to capsulize the essence of each cantata's meaning and purpose. We've been thrilled to see other San Francisco Bay Area musical organizations take up the same idea, and in February we invite you to join us again through your own musical contribution as we celebrate 30 years by looking back to the beginning (or, "Bach" to the beginning!) with a program of four cantatas that helped establish the solid reputation of ABS as California's leading Bach ensemble. In fact, ABS's acclaimed recording of "Favorite Cantatas" is at the core of February's programs, complemented by Bach's German setting of the Magnificat text, "Meine Seel erhebt den Herren" ("My soul magnifies the Lord"). Aida Kicks off Season 13 of "Great Performances at the Met"
"A Symphonic Winter" with Great Performances continues with the season 13 premiere of Great Performances at the Met featuring Verdi's grandest of grand operas, Aida. Conducted by Nicola Luisotti, catch the opera this Sunday, January 20 at 12 p.m. on PBS (check local listings). Aida stars vocal powerhouses Anna Netrebko in the title role and Anita Rachvelishvili as Amneris as they go toe to toe in this classic love story featuring a number of Verdi's most celebrated arias. Aleksandrs Antonenko, Dmitry Belosselskiy, and Ryan Speedo Green round out the cast. Isabel Leonard hosts. Nu Deco will continue their fourth season with a program of all female composers at The Light Box, 404 NW 26 St., Miami, FL, February 14–16. The concerts will feature new works by Nu Deco violist Jessica Meyer and Nu Works Initiative winners Holly Harrison and Tanner Porter, as well as a collaboration with special guest artist Colombian-Canadian singer-songwriter Tei Shi, a mercurial artist whose multimedia approach to music-making has turned heads in recent years. The new symphonic suite explores the music of "High Priestess of Soul" Nina Simone, who challenged societal norms and musical compartmentalization through her highly political, categorically ambiguous works. World Premiere of Eric Whitacre's "The Sacred Veil"
Three years ago, after a visit from his longtime collaborator and friend, lyricist and poet Charles Anthony (Tony) Silvestri, composer Eric Whitacre found a poem Silvestri had left for him sitting on his piano. Silvestri had lost his wife to cancer 12 years previously, losing his soul mate and leaving him to bring up their two young children. He had not been able to write about the experience for a long time. The poem he left for Whitacre was called "The Veil Opens," and Whitacre immediately sat down and began to set it to music. The resulting piece is part of a broader work based on Silvestri's poetry addressing all stages of life and death called "The Sacred Veil" that will receive its world premiere by the Los Angeles Master Chorale conducted by Whitacre in Walt Disney Concert Hall,111 S Grand Ave, Los Angeles, CA, Saturday, February 16 at 2 PM and Sunday, February 17 at 7 PM. The Richardson Chamber Players, Princeton University Concerts' ("PUC") resident ensemble of performance faculty, pay tribute to PUC's 125th anniversary season in a special Sunday afternoon chamber recital on February 10, 2019 at 3PM in Richardson Auditorium, Alexander Hall, Princeton, NJ. The program will feature mixed chamber works written during PUC's inaugural season (1894-1895) paired with contemporary compositions. Performance faculty pianists Geoffrey Burleson and Margaret Kampmeier, cellist Susannah Chapman, soprano Rochelle Ellis, violinist Anna Lim, and clarinetist Jo-Ann Sternberg will offer works by Camille Saint-Saëns, Richard Strauss, Johannes Brahms, Eric Nathan, and Anton Arensky. This concert will be the last in the Richardson Chamber Players' 2018-19 season. Tickets are $15 General/$5 Students, available by phone at 609-258-9220, in person two hours prior to the concert at Richardson Auditorium, or online at princetonuniversityconcerts.org. Early ordering access in advance of the general public. The best selection of events and seats. 15% discount when you purchase 6 or more events. On top of this, all donors of $100 or more are acknowledged in our souvenir program book. Miller Theatre Early Music Series Presents "Music from Over the Alps"
The Chelsea Symphony, featured in the hit Amazon show "Mozart in the Jungle," begins 2019 with a concert on January 25 and 26 featuring Jean Sibelius's Symphony No 2, famously called by the composer "a confession of the soul." Also on the concert is the World Premiere of Four Miniatures for a Dark Age by Aaron Dai, Ballade for Flute and Orchestra by Frank Martin with flutist Kim Lewis (1/25 only), Violin Concerto in D minor by J.S. Bach with violinist Béa Naumann (1/25 only), and Carl Nielsen's Clarinet Concerto with clarinetist Sarah Koop McCoy (1/26 only). This concert is conducted by Matthew Aubin and Nell Flanders. A fusion of Western classical and gypsy music. 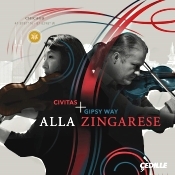 Civitas Ensemble; Pavel Sporcl and the Gipsy Way Ensemble. Cedille CDR 90000 179 (2-CD set). First things first: Who are the two ensembles involved? 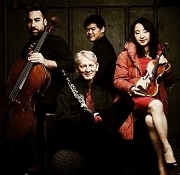 The Civitas Ensemble are, according the booklet note, four of Chicago's top musicians--Yuan-Quig Yu (violin), Kenneth Olsen (cello), Winston Choi (piano), and Lawrie Bloom (clarinet)--who formed in 2011 as a chamber music group dedicated to presenting "engaging live performances of new and traditional works, inspiring a young generation of classical musicians, and bringing the healing power of music to those with limited access to live performances." Pavel Sporcl "is one of the world's most prolific violinists and high-profile recording artists." In 2008, "he started playing with Gypsy musicians and later formed Gipsy Way Ensemble, who have stayed in its current formation since 2012, with Ensemble members Zoltan Sandor, viola; Jan Rigo, double bass; and Tomas Vontszemu, cimbalom." Together, they have played all over the world, and in 2015 Sporcl's civic-minded approach and advocacy for classical music earned him the Czech Republic's Medal of Merit. And what's with the title, "Alla Zingarese"? Well, "All Gypsy," for starters, or, better, "In the Style of Gypsy Music." However, the selections aren't quite all gypsy, as we hear many of them in arrangements by various non-gypsy people, thus making them as the inside cover notes "a fusion of Western classical and gypsy music...an exploration of what happens when distinct cultural and musical traditions join together." As noted above, the music is a blend of traditional gypsy tunes and classical instruments and playing techniques. The opening arrangement of the Brahms Hungarian Dance No. 1 is a good example. One can sense both its classical and folk roots, with instrumentation to complement both sides. Of course, whether this kind of crossover material will appeal to either camp is open to question. The point is that the music can be infectious and highly entertaining if you give it a chance. I'm not sure it's trying to make any point, except, perhaps, that every musical medium can be fun, even when they're mixed. Anyway, I found the entire album captivating, and I especially liked the use of the cimbalom, a type of zither or dulcimer. I found myself wanting to hear more of it. If I really had to choose, though, I think I enjoyed the selections by the two groups together best of all, if only for the added richness of the sound they produced. Still, all of this music is addictive, rollicking, yet sensitively performed by musicians who obviously cherish what they're playing. Producers Steve Rodby and James Ginsburg and Cedille's ace engineer Bill Maylone recorded the album at the Chicago Recording Company in May 2017 and the Reva and David Logan Center for the Arts at the University of Chicago in August and September 2017. The resultant sound is smooth and warm, with enough resonance for comfortable listening and enough transparency for good detailing. These are small ensembles, so each player stands out in clear relief, yet not so vividly as to seem unreal. As always with Cedille, the sound is natural, realistic, as opposed to overtly audiophile. New Century Chamber Orchestra continues its 2018-2019 season February 7 through 10 with the return of British violinist Daniel Hope in his first appearances as the ensemble's new Music Director. Exploring the theme of "recomposition," Hope will appear as soloist for the San Francisco Premiere of Max Richter's complete Recomposed: Vivaldi – The Four Seasons from his 2012 bestselling Deutsche Grammophon album. Continuing as soloist, Hope will perform the 2nd Movement from Robert Schumann's Violin Concerto arranged by Benjamin Britten alongside a second Britten arrangement of Henry Purcell's Chacony in G minor. Rounding out the program are two popular Renaissance inspired works: Peter Warlock's 1926 work Capriol Suite based on dances by Thoinot Arbeau and Ralph Vaughan Williams's Fantasia on a Theme by Thomas Tallis. This program will be presented as part of New Century's subscription series on four evenings in different locations around the Bay Area: Thursday, February 7 at 7:30 p.m., First Congregational Church, Berkeley; Friday, February 8 at 7:30 p.m., Oshman Family JCC, Palo Alto; Saturday, February 9 at 7:30 p.m., Wilsey Center for the Arts, San Francisco and Sunday, February 10 at 3 p.m., Osher Marin JCC, San Rafael. New Century offers an Open Rehearsal Wednesday, February 6 at 10 a.m., Trinity St. Peter's Church, San Francisco with free admission. The Open Rehearsal offers a sneak preview of the concert repertoire while allowing audiences to experience the musical democracy of a rehearsal without a conductor. Admission to the Open Rehearsal is free and can be reserved by contacting tickets@ncco.org or (415) 357-1111. Music Director Nicholas McGegan and Philharmonia Baroque Orchestra & Chorale start the second half of their season with a visit to the early Romantic period in February when they welcome violinist Rachel Barton Pine who will reprise her deeply-researched performance of Franz Clement's Violin Concerto in D major. The program titled "Viennese Pivot" also features works by Mozart and Schubert and takes place February 6–10 in four performances throughout the San Francisco Bay Area. 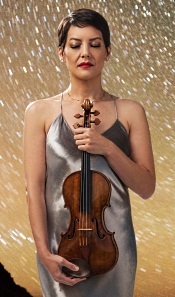 Pine was the first in the world to record the Clement Violin Concerto in D major in 2008 and wrote her own cadenzas for the recording and live performances. Clement, also a virtuosic violinist, premiered his own Violin Concerto in D Major at the Theater an der Wien on April 7, 1805, on the same bill as the first public performance of Beethoven's Third Symphony (Eroica), conducted by the composer. Clement later commissioned what would be the only violin concerto from Beethoven who noted on the manuscript, "Concerto par Clemenza pour Clement" (Concerto with compassion, for Clement) and premiered it a year after he premiered his own. Interestingly, both works are in the same key, the same length, and use the same instrumentation. Rarely is a pianist's voice as familiar to audiences as their playing style. But for Christopher O'Riley, former host of NPR's "From the Top," listeners may first recognize his soothing, radio-friendly voice before picking up on his masterful piano skills. Christopher O'Riley will perform a solo concert at the Vilar Performing Arts Center (VPAC), Beaver Creek, Colorado on Thursday, Jan. 17 at 7 p.m.
Tickets are $58 for adults and $10 for students and are available now at the VPAC box office (970-845-8497; ). This show is part of the VPAC Pick 5 Ticket Package, where you can get 1 ticket to 5 different shows for $150. Contact the box office for a list of available shows or visit the VPAC website. The VPAC is located under the ice rink in Beaver Creek Village (68 Avondale Lane, Beaver Creek, Colorado). Don't Miss Out on the 50th Anniversary Cruise! Reminder: The commitment deadline for the 50th Anniversary Danube Cruise is January 15! Join your fellow Festival Mozaic enthusiasts in this once-in-a-lifetime opportunity to take part in an itinerary that is designed especially for classical music lovers. Amadeus Cruises has scheduled their May 22 – June 1, 2020 cruise with private classical concerts that will be exclusive to our group. We will attend these performances in many spectacular venues along the cruise route, such as the Salzburg Mozarteum, Melk Abbey, and Duna Palace. Join us in this unique fundraising opportunity to honor our beginnings as the Mozart Festival and to celebrate Festival Mozaic's 50th Anniversary. Earlier this week, the Conseil des arts de Montréal announced that the CMIM (Concours musical international de Montréal) is one of the finalists nominated for its 34th Grand Prix, to be held on March 21, 2019. Every year, since 1985, the Grand Prix du Conseil des arts de Montréal has been awarded in recognition of the excellence and outstanding contribution of a particular artistic organization. "This nomination confirms that the CMIM contributes to defining the culture that permeates Montreal today: creative, innovative and geared towards excellence. We are delighted and honored for this recognition," declared Christiane LeBlanc, CMIM's Executive and Artistic Director. Opera Maine announces auditions for its July 2019 production of Mozart's The Magic Flute. We seek local singers for comprimario roles and chorus in a fully-staged production sung in German with English dialogue.Live auditions will be held on Friday, February 1,between 5:00 p.m. and 8:00 p.m. at Williston Immanuel – 156 High Street, Portland, Maine. To request an audition, email operamainechorus@gmail.com, subject "Magic Flute auditions." Please include a resume and/or tell us about your musical training. If you cannot attend the auditions but would like to be considered, please include a high-quality video to act as your audition. Auditions are by appointment. There is no fee to audition. Accompanist provided. Audition requirement: One German language aria or art song; one English aria or art song. Music For Life International Presents "Beethoven For the Rohingya"
Music for Life International continues its decade-long tradition of global humanitarian concerts with "Beethoven for the Rohingya," a benefit concert featuring Beethoven's monumental Ninth Symphony, presented in the Stern Auditorium/Perelman Stage at Carnegie Hall, NYC on Monday, January 28, 2019. "Beethoven for the Rohingya" is an urgent call to the global community to raise awareness for the nearly 1 million Rohingya refugees fleeing what the United Nations have defined as genocide in Rakhine State in Myanmar. Refugees, who are seeking safety in Bangladesh, Thailand, Malaysia, Indonesia, and other nearby locations, are grossly lacking access to healthcare when it is needed most; net proceeds from this performance will benefit Doctors Without Borders/Médécins Sans Frontières (MSF), which provides medical aid to those who are among the world's most vulnerable. Following a very active holiday season, the Young People's Chorus of New York City is keeping up the pace with four performances this month alone on Lincoln Center stages beginning Sunday. Young People's Chorus of New York City will be featured in the Chamber Music Society of Lincoln Center's production of the The Girl Who Loved Wild Horses, based on the enchanting tale of a Native American girl with a mystical connection to wild horses by Paul Goble. Recommended for kids ages 6 & up and their families. In one of the city's most anticipated events this season, 110 female singers from the Young People's Chorus of New York City join Jaap Van Zweden, the New York Philharmonic Orchestra, and The Crossing in three world premiere performances of Julia Wolfe's Fire in My Mouth, based on New York City's catastrophic Triangle Shirtwaist Factory Fire of 1911, an immersive production complete with scenic lighting, video, and projections. Festival Mosaic's next WinterMezzo weekend, February 22-24, 2019, is just around the corner! Join music director Scott Yoo, along with visiting cellist Bion Tsang and pianist Anna Polonsky, for an immersive weekend of musical experiences. Tickets are still available for the Notable Encounter Insight and the Chamber Music Concert. PLUS: on February 21st we have added a special Encore Insight and Performance of Bach's Violin Partita No. 2 by Scott Yoo, which was previously performed at the WinterMezzo weekend in October 2018. Tickets are going quickly, so act now to get the best seats. We look forward to seeing you at these events in San Luis Obispo, CA. Works by Ciupinski, Corigliano, Glass, Lauridsen, Pärt, and Ravel. Anne Akiko Meyers, violin; Akiro Egushi, piano; Elizabeth Bridges, keyboard; Jakub Ciupiñski, luthéal reproduction; Kristjan Järvi, Philharmonia Orchestra. Avie Records AV 2386. 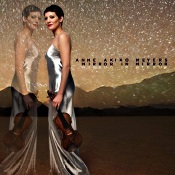 This new album by violinist Anne Akiko Meyers is a delightful combination of interesting music, splendid playing, excellent engineering, and even -- as an added and unexpected bonus -- thoughtful, helpful, and intelligent liner notes. If only more music releases were so thoughtfully produced! Although on the whole I have never been a big fan of the music of Philip Glass, I have found some of his smaller-scale works to be enjoyable. Meyers opens her program with an arrangement for violin and piano by Glass's frequent collaborator Michael Reisman of the composer's Metamorphosis II. Pianist Akira Eguchi and Meyers make this piece soar and sing. Indeed, the expression and passion these musicians bring to this music belie the reputation for boringly repetitious minimalism that Glass's music has accrued among many music listeners. Interestingly enough, the liner notes mention that Metamorphosis II was influenced by Arvo Pärt's Fratres, the next cut on this CD. I have heard many performances of various arrangements of Fratres, including some for violin and piano as on this recording, but never have I heard a performance as strikingly virtuosic as this one. I would never have thought of Pärt as composing gypsy music, but there is a hint of that here, at least to these ears. Fascinating! Next up is the title track, Spiegel im Spiegel ("Mirror in MIrror"), also by Pärt. Although simple on the surface, this truly is a composition with great depth of feeling, a deeply reflective piece, as implied by its title. Meyers mentions in the liner notes that she had worked closely with Pärt a few years ago while recording several of his compositions, an experience that provided her with an insight into both the composer and his music. Meyers and Eguchi play this music in a loving but straightforward way, allowing listeners to find their own reflections as they gaze into the music. Although Meyers somehow managed to find a gypsy thread in the music of Part, she somehow manages to overlook the gypsy element in Ravel's Tzigane, which she plays in a straightforward manner that strikes these ears at least as lacking in the necessary passion and flair. An interesting aspect of this performance, though, is the inclusion of a digital recreation of the sound of a luthéal, which the liner notes explain is an optional piano attachment – now virtually extinct – that Ravel indicated could be used in performance. The percussive sound of the luthéal does add an intriguing dimension to the sound, but overall, this performance of the Tzigane is the least appealing track on this CD. It just sounds out of place, not quite consonant with the overall pensive, introspective mood of the rest of the program. That more introspective mood is restored, however, with the next cut, a moving piece titled Lullaby for Natalie, which was written by composer John Corigliano at the request of Meyers's husband to play in honor of their at that time yet-unborn child. In Corigliano's liner note, he mentions that Meyers sent him a video of her playing the lullaby for baby Natalie, who was indeed asleep by the end of the piece: "The baby, awake at first, was asleep at the end, so either the 5-minute lullaby had bored her to sleep or I had lived up to the promise of my title. I will never know." Those who listen to this cut will not be bored to sleep but will rather be enchanted by its charms. 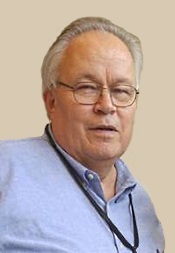 The next cut, Edo Lullaby, based on the traditional Japanese folk song "Edo No Komori Uta," is a composition for violin and electronics by Jakub Ciupiñski, who explains in his liner note that the opening quotes the original melody while the rest of the piece "represents my subjective interpretation of its spirit." The end result does not sound like a traditional lullaby – there are lots of electronic effects going on in the deep bass that would shake your woofers, not to mention your baby, wide awake. Perhaps this is what Ciupiñski has in mind when he writes, "it is my personal nod to the Zen tradition, which I think of as an ancient lullaby that makes you wake up." In any event, it is an interesting piece of music that fits well into the overall arc of the program. 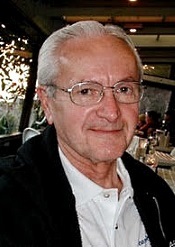 The next cut, Wreck of the Umbria, is also by Ciupiñski, who explains that the title came from an underwater wreck in Sudan that he had explored back in 2005. The violin has a haunting sound, a mood augmented by electronic effects that truly do allow the listener to conjure up the mental image of a mysterious underwater realm. Although my brief description might give the impression that this is bizarre, forbidding music, it is actually quite enticing and eminently listenable. 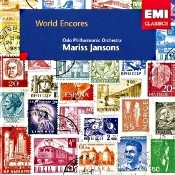 Although the previous pieces on this album have been at chamber music scale, the program concludes with an arrangement for violin and orchestra (in this performance, the Philharmonia Orchestra under the baton of Kristjan Järvi) by composer Morton Lauridsen of his oft-recorded (e.g., as led by the late Robert Shaw on a marvelous Telarc recording with the same title) choral piece, O Magnum Mysterium. The sound of Meyers's violin floating above the orchestral cushion is a grand and fitting way to conclude this beautiful production, which is first-class in every respect. Double Concertos for Horns, Oboes, Violin and Cello, and Oboe and Bassoon. 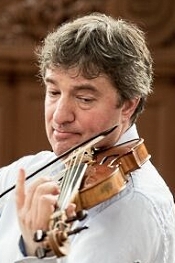 Adrian Chandler, director and violin, La Serenissima. Avie Records AV2392. First, the good news: There isn't a Four Seasons in sight. The bad news? There isn't any. As always with director and violinist Adrian Chandler and his period-instrument band La Serenissima ("most serene," as in the nickname for Venice), everything is in perfect order. The ensemble is clean and precise, yet lively and stimulating. 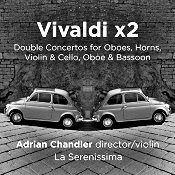 "Vivaldi x2" is another outstanding release in La Serenissima's fine catalogue of recordings. As each concerto lasts from six to about twelve minutes, it gives the album a total time of over seventy-five minutes. That's close to a full house, the upper limit of a Red Book CD. Anyway, Chandler and his crew are no namby-pamby HIP ensemble. They attack each line with vigor and enthusiasm. Yet despite their zest for the music making, they are as exacting in their execution as anyone. Take the first concerto, for instance, the Concerto for Two Horns. There's nothing fussy about it; it brims over with life. Still, the slow middle movement shows sensitivity and grace, and then it ends in a note of pure effervescence. And so it goes. Vivaldi wrote a busload of double concertos, so the eight on this disc are but a small sampling. Perhaps this portends more such material from Chandler and La Serenissima. Let us hope so. However, if I have any minor quibble about the album, it's one I've had about hundreds of CD's and LP's over the years: The cover art. 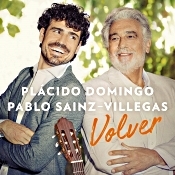 I'm probably alone in this, but I like looking at a recording's cover art while enjoying the recording's music. When a cover picture conjures up images of the music's content, I'm pleased, as with La Serenissima's "The French Connection" and "A Tale of Two Seasons." However, when it's as dull as the picture of two cute little cars ("x2") on the present black-and-white cover, it might as well be nonexistent. Full-face portraits of an album's primary artist annoy me as well: photos of Alfred Brendel or Herbert von Karajan or whomever; I don't care. Let me elaborate: Many years ago, Philips released an LP recording of Schubert's "Trout" Quintet by an augmented Beaux Arts Trio. The album featured a painting of an old mill with a water wheel beside a bucolic scene of a running stream. It was beautiful; it inspired one to appreciate the music all the more. Then Philips issued the recording on CD and changed the cover art to some drab, generic abstract fish painting (and later to a trio of jumping fish). When Pentatone re-released the album on SACD, they did likewise, failing to use the original cover art and employing some nondescript water imagery. So I looked on-line for a picture of the original Philips LP artwork, found it, copied it, re-sized it, sharpened it, spruced up the colors, and then printed it out and inserted it in front of the CD booklet. My enjoyment of the music improved. Simon Fox-Gal produced, recorded, and edited this Vivaldi recording, which he made at Cedars Hall, Wells, Somerset, UK in February 2018. The sound is dynamic, a little close, clear if a tad soft, slightly reverberant, and detailed but never hard-edged or strident. Certainly, the hall is in evidence here, which makes the presentation all the more realistic. There is also a moderate depth to the image, so we get a sense of space as well as breadth, with plenty of air around the instruments. Nicely done. The International Contemporary Ensemble (ICE) announces their spring 2019 season concerts. Engagements this spring include performances of Tyshawn Sorey's Perle Noire: Meditations For Joséphine featuring rising soprano Julia Bullock at the Metropolitan Museum of Art, Miller Theatre Composer Portraits of Wang Lu and Tyshawn Sorey, three performances at the 2019 Big Ears Festival in Knoxville, and Silent Voices: Lovestate with the Brooklyn Youth Chorus at The New Victory Theater in NYC. The Ensemble also continues its partnerships with the New York Public Library and Nokia Bell Labs Experiments in Art and Technology throughout the spring. The International Contemporary Ensemble opens its 2019 spring season with two performances of Perle Noire: Meditations for Joséphine on Wednesday, January 16 and Thursday, January 17, 2019 at 8:00pm at The Metropolitan Museum of Art. On Thursday, February 21, 2019 at 8:00pm, ICE joins Yarn/Wire for a Miller Theatre Composer Portrait of composer and pianist Wang Lu. ICE returns to the 2019 Big Ears Festival in Knoxville, TN on Thursday, March 21, 2019 at 10:00am and Sunday, March 24, 2019 at 11:00am. ICE's programs include works by Carla Kihlstedt, Anna Thorvaldsdottir, Ellen Reid, and Ashley Fure. ICE returns to the lauded Miller Theatre Composer Portrait series for a portrait of composer Tyshawn Sorey on Thursday, March 28, 2019 at 8:00pm. In five performances from May 2-5, 2019, ICE partners with the acclaimed Brooklyn Youth Chorus for Silent Voices: Lovestate at The New Victory Theater in New York City. And in spring 2019, ICE performs in Reich Richter Pärt at The Shed. Princeton University students will perform Wolfgang Amadeus Mozart's lighthearted early opera Die Gärtnerin aus Liebe ("The Pretend Garden-Girl"), K. 196 in a FREE, fully staged production in Richardson Auditorium, Alexander Hall on Friday & Saturday, January 11-12, 2019 at 7:30PM. These performances are the culmination of a semester of preparation of the Singspiel version of the composer's La finta giardiniera by R & L Berger (1917) in the course MUS214: Opera Workshop course. 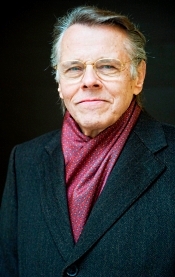 Sung in German with English dialogue, the production offers a modern setting of the comic tale, as directed by Princeton University Performance Faculty member David Kellet. Ruth Ochs conducts the Princeton University Sinfonia, and Sarah Pelletier has provided vocal coaching. Happy New Year from YPC! This week YPC culminates its 30th anniversary year, and we would like to share with you—our families, friends, and colleagues—some YPC highlights over the past 12 months. It is so exciting for us to watch our young people grow as artists from year to year, and we continue to be amazed by their accomplishments. 2018 was a momentous year for the Young People's Chorus of New York City. Now, as we set out on YPC's fourth decade, all of us at YPC are energized and looking forward ever greater accomplishments in the days and years ahead. Gratitude for 2018 – YOU Make It Happen! As we come to the end of 2018, I do so with great pride and gratitude. We at Philharmonia Baroque Orchestra and Chorale have concluded a year of glorious music and continued artistic excellence in historically informed performance. Marveled at the splendor of Mozart's sacred choral works. Enjoyed the fruits of our collaboration with The Juilliard School in a magnificent performance by recent Juilliard alumni and their PBO teachers. Explored two distinct Bach cantatas alongside other Baroque choral delights. Thanks to you, PBO is bringing historically-informed performance to audiences and students here in the San Francisco Bay Area and well beyond. I invite you to make one more gift of any amount before we ring in 2019 so that we can continue to deliver passionate, brilliant, and original music through our innovative concerts, tours, recordings, broadcasts and education programs. Whether you've been a longtime supporter or just bought your first ticket, I am forever grateful to you—our PBO family. Our christmas recital for the 2018/19 school year was held on December 8 at the East Las Vegas Community Center. This year's beginning students had the pleasure to take the stage for the first time; they did a great job. The audience was really excited for them. We had some of the parents and siblings of the students perform alongside our Mariachi Estrellas de FAYM. Our FAYM parents work together to assure that our program had a great Christmas recital. They got together and organized a great meal for everyone to enjoy after the recital. FAYM has been teaching our youth to play the violin for 11 years. In this time we occasionally run across a student that seldom misses class, always comes to class prepared, and based on the way they play the violin, they have practiced on a regular basis at home. In order to reward their commitment to learning, we developed the Golden Violin Program. This is set up so that a student can earn a better quality violin than the standard low cost beginner instruments we loan our students. There is a process including writing an essay as to why they feel they have earned the Golden Violin, volunteer hours helping less experienced students, assisting teachers, and demonstrating their musical proficiency by auditioning in front of a panel consisting of Mr. Tim Thomas, our Project Coordinator, Mr. Hal Weller, Founder of FAYM and myself, Arturo Ochoa, Co-Founder of FAYM. The audition is the final step and if they pass the audition, their beginning instrument is replaced with a violin that has a retail of over a thousand dollars! Happy New Year from AOP! AOP wishes you, our irrepressibly supportive community, a warm, safe and joyous new year! In 2018, AOP celebrated 30 YEARS of redefining opera. As we head into 2019 please consider a gift that will help us train emerging artists, create new masterpieces and engage new audiences. AOP's 2018 included world premieres of The Echo Drift and Six. Twenty. Outrageous and a new production of the critically lauded As One in Chautauqua, NY. In November we remounted Savage Winter (a co-production with Pittsburgh Opera) for the 2018 BAM Next Wave Festival. And throughout the year we trained opera creators, engaged communities via free pop-up operas and concerts and workshopped projects next in line for world premiere. Come along with us in 2019, our 31st season. Thank you for you for being part of the AOP family. American Opera Projects is a registered 501(c)(3). Donations are tax-deductible to the full amount as allowed by law. Naxos is happy to announce its acquisition of ARC Music Productions International. Established in 1976, the main goal of ARC Music is to preserve the ethnic music of world cultures, and to spread traditional and original music with a positive message. Their unrivaled repertoire comprises hundreds upon hundreds of albums from over 120 countries and cultures the world-over. The Naxos Music Group has been distributing the ARC label digitally worldwide and physically in several key markets for a significant time. Naxos is also operating the only dedicated world music subscription streaming platform, Naxos Music Library/World, which offers access to more than 12,000 albums through a dedicated search engine. Klaus Heymann, founder and CEO of Naxos Music Group, and Julia Beyer, Executive Director and Head of A&R at ARC Music, feel that their partnership, along with the physical/digital distribution infrastructure Naxos provides, will enable a very successful union. Celebrate 100 Years of The Cleveland Orchestra on "Great Performances"
Great Performances is proud to present The Cleveland Orchestra Centennial Celebration on Friday, January 11 at 9 p.m. on PBS (check local listings). Conducted by music director Franz Welser-Möst, this gala concert commemorates the centennial of the orchestra's founding and features works touching on more than a century of Viennese musical traditions. World-renowned, Grammy-nominated pianist Lang Lang joins the orchestra in a special performance of Wolfgang Amadeus Mozart's Piano Concerto No. 24. Don't miss Orphée et Eurydice from Lyric Opera of Chicago (January 18), Aida (January 20), Doubt from Minnesota Opera (January 25) and Marnie (February 1) on Great Performances this month.